Jishen Zhao an Assistant Professor in the Computer Engineering Department at University of California, Santa Cruz. She is also affiliated with the Storage Systems Research Center at UCSC. Her research falls primarily in the area of computer architecture, with an emphasis on memory and storage systems, high-performance computing, and energy efficiency. She is also interested in electronics design automation and VLSI design for three-dimensional integrated circuits and nonvolatile memories. 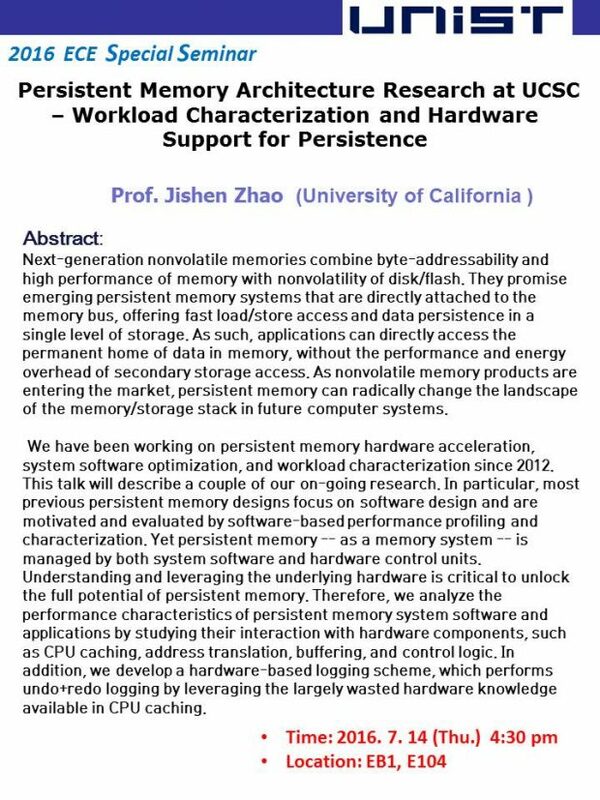 Paper accepted at MASCOTS 2016.